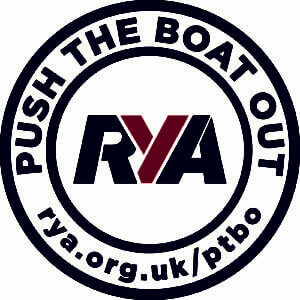 As a Royal Yachting Association (RYA) Training Centre we are pleased to be able to offer a variety of training courses for all ages and experiences whether new to sailing or brushing up/improving existing skills and for members and non-members. We offer courses with a variety of formats to suit the differing needs of people’s diaries; each course has a total of 12 hours’ tuition, a maximum of six people to an instructor and are available to non-members. These cover the basics of rigging a boat, getting out on the water, sailing a triangular course and getting back into shore. Everything required to be able to sail a boat independently and leads to an RYA Level 1 qualification. The cost includes the RYA books you need to get started. All equipment is provided including wetsuits, buoyancy aids, boats etc. The only thing you need is an old pair of shoes such as trainers that can get wet (no flip-flops). Weekend Courses are held over two full days of one weekend. These are the initial dates but more will be scheduled in, dependent on demand. As an added benefit there is also a reduction in Priory Sailing Club membership fees for course participants who then decide to continue their sailing by joining the Club.